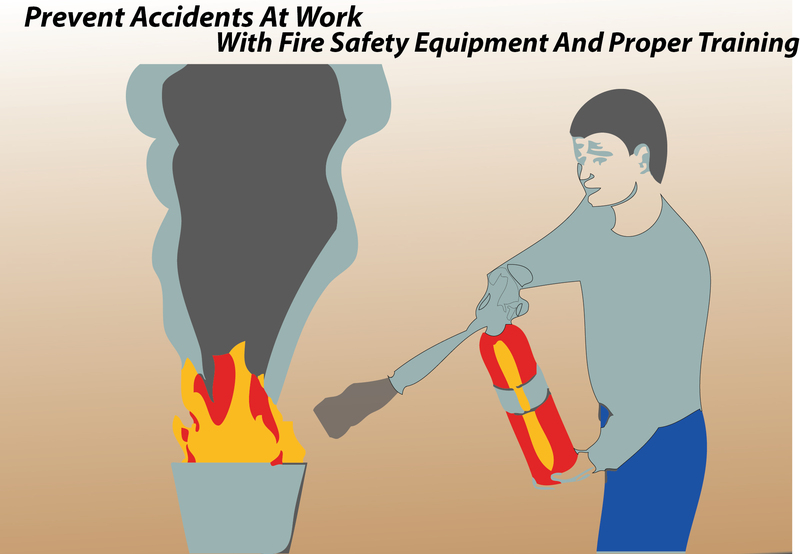 While the majority of workplace accident claims lead to minor injuries, fire can cause devastation. Protecting a business premises against fire will not just improve the health and safety of employees – it will also protect the general public, the emergency services and the owners of adjacent properties. Clearwater Solicitors can help you make a workplace accident claim if you have been injured or if a loved one has lost their life as a result of a fire at work, but businesses should put all reasonably practicable steps in place to ensure fire does not harm their workforce. Businesses should have fire drills and training in place to deal with fires when they arise, and should invest in equipment to warn them of fires and help them to combat them if possible. All new staff should be trained in what to do in the event of a fire as soon as they start work, and if new equipment or methods of work lead to unexpected risks, staff should be told about these hazards. Businesses should hold at least one fire drill every year and keep a record of their results. Businesses must ensure that every escape route has a clear passageway – some accident at work claims involve slips and trips during fire drills or in actual fires. Escape routes should be direct, short, and have enough room for everyone to get through, and staff should be provided with a safe meeting point. Ensuring escape routes are safe could require the use of emergency lighting and emergency doors, and businesses will have to consider which solutions are right for them. Companies are also obliged to make special provisions for wheelchair users and other people with mobility problems – this could involve selecting people to help wheelchair users get downstairs if there is a fire. Companies can significantly reduce their likelihood of facing accident at work compensation claims by investing in fire detection equipment, The type of equipment suitable for a particular business and the location of this equipment will depend on a variety of factors, but warning systems and detection systems will be essential. Fire fighting equipment is also recommended, however, the correct equipment for each individual company will depend on the type of business it is and the building it is in. Staff should be trained in how to use this equipment when necessary. All fire detection, prevention, warning and fighting equipment must be properly installed, well maintained and regularly tested. Every business must ensure its fire safety procedures are effective and suitable for their particular requirements, and must regularly assess and update these procedures to deal with emerging risks or new employees. When businesses fail to protect the wellbeing of their workforce effectively, they can find themselves facing accident at work compensation claims, or being prosecuted in court due to health and safety regulation breaches. If you are unsure about the fire safety procedures in your business, then speak to an expert consultant before it is too late.